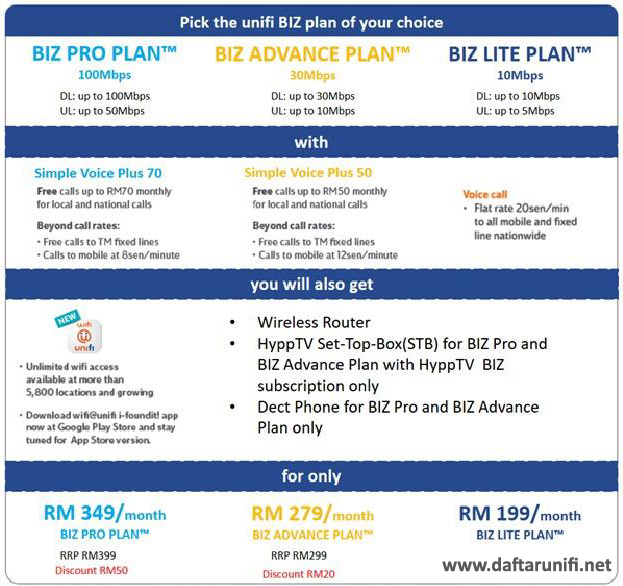 TM has launched new Unifi Business Q4 Bonanza Campaign effective on 1st of November 2017 until 31st of December 2017.
a) This special price promotion only for 24 months. 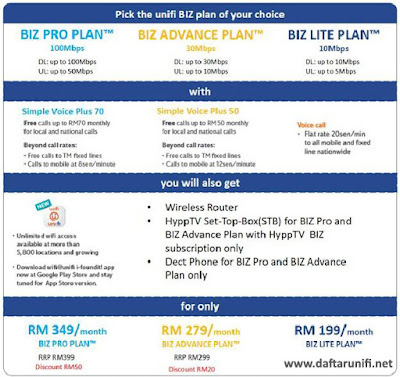 On 25th month of subscriptions the price will change to normal rate price as shown below. TM will send SMS notification on the removal of discount (whenever applicable).